they didn't copy it. they made teir own system. doofus. yea, and I do say it's better than battlegear for some of the compatible reason. seems like neither the shader and dynamic lights mods both have features to grow the light source on your second hand, doesn't work on battlegear dual wield system. 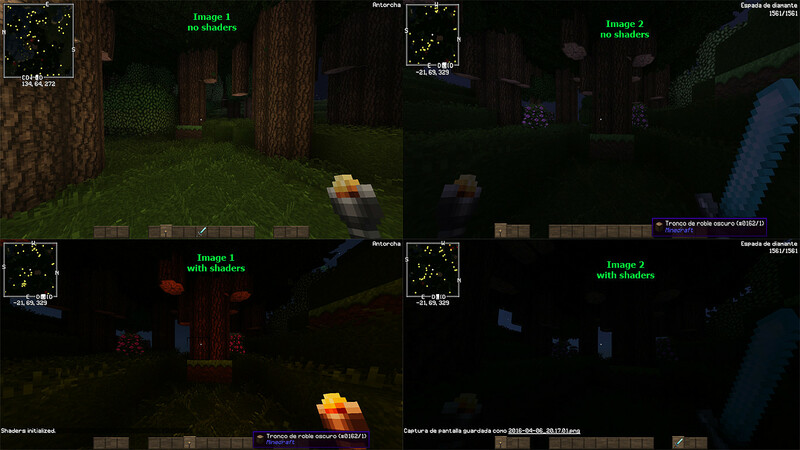 but it work just well on Mojang's system. yea for some reason you can't attack from the off-hand weapon on Mojang's system, but later on there have mods that do change it so that you can actually attack from your both hand at the same time. nice! Anyone know if they're working on 1.8.9? I've got a couple things to ask about this mod, if anyone knows. 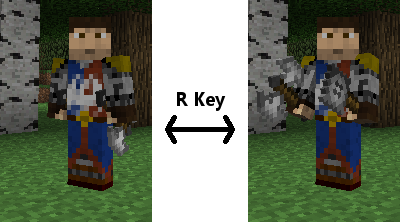 Not sure wherther it's supposed to be like that, but you can't dual wield two weapons that are not vanilla or not from this mod. Also, I have Flan's mod installed together with this and the guns won't shoot in the right hand. Also, to me, the off hand weapon does not attack but only blocks. As I do to Torch enlightened as in Figure 1 ? With vanilla interface torch illuminates Same But with the battle interface does not illuminate . 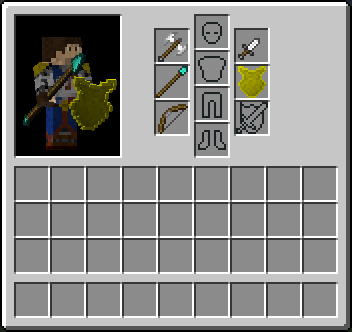 I want dual wielding for 1.7.10 :(. than can i use it in a pupblic modpack right ? Does this work on 1.8.9? It doesn't appear so. When I load it, it says the mod wants 1.8. OpenGL: AMD Radeon HD 5450 GL version 4.5.13399 Compatibility Profile Context 15.201.1151.1008, ATI Technologies Inc. In the new latest version of battlegear 2, I can't see my left hand or use anything on that side of the added hotbars. Is there anything to do to fix it or will I have to wait for a new version? I can't see my left hand, and it says there is a 1.0.10.0 but I cant find it!! Is it okay to use this mod in my Legend of Zelda modpack?